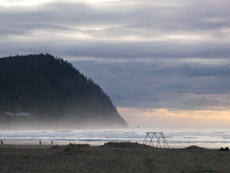 (Oregon Coast) – It’s a plethora of possibilities this week on Oregon’s coast, with that calm just before spring break’s storm, the unusual sights you’re likely to find on the beach from all the stormy wave action, what it leaves behind and the attractions, dining and lodging possibilities that lie out there. Prepare for a weekend of major fun and surprises, as the coast will likely provide something extraordinary – either in the natural world or manmade attractions. Chicago singer-guitarist James Armstrong, considered part of the country¹s top echelon of blues players, brings his band to the Landmark in Yachats for an 8 p.m. show on Sunday, March 4. His mother was a blues singer and his father played jazz guitar. He formed his first band in the seventh grade and by the age of 17 was touring the country. Armstrong learned by playing around Southern California's club scene. 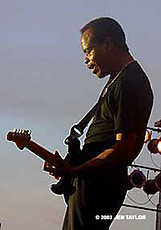 He recalls backing Big Joe Turner during the 1980’s at Santa Monica's Music Machine, and a similar gig with Albert Collins later on as part of a band that included guitarist Coco Montoya. Today he travels the world, keeping the foundations of the music alive night after night. He's had three releases on HighTone Records and two WC Handy nominations. After a near-fatal stabbing incident in 1998, he became more of an introspective player, introducing a variety of moods and atmospheres into his shows. 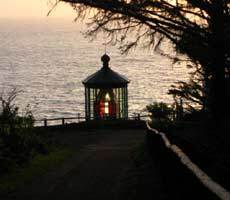 A lighthouse, a weird natural anomaly and a few hidden trails all create a whole new world to explore in this relatively small State Park – all just west of Tillamook, along the Three Cape Loop. From the Octopus Tree, more trails await. A trail to the highway darts off toward the road, going for about a half mile and passing several viewpoints. There are also long, meandering trails snaking down to the beach and a hidden cove at Meares (the community below the cliffs), as well as one which ends up at Meares itself. 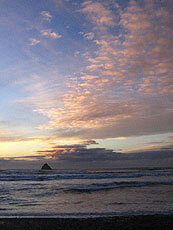 Got cool vacation rentals on the north coast? Now you do. 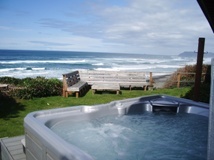 This well connected rental agency has dozens of homes in that dreamy stretch between Cannon Beach and Manzanita known as Arch Cape, a rugged and unpopulated chunk of coastline with dramatic shorelines and sweeping cliffs. 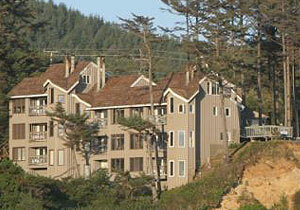 Their properties dot the beaches and hills from Arcadia to Arch Cape, including the secretive Falcon Cove. 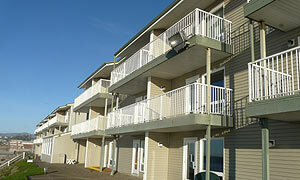 You’ll find oceanfront and ocean view homes, all just a short walk away from the sea. All these homes are immaculate and smoke free, and there are some pet friendly homes (with a fee). Some houses come with broadband access, indoor or outdoor hot tubs, fireplaces, music centers, decks, and fire pits or barbecues. Furnishings include well-equipped kitchens, washer/dryer, linens, bath towels, paper and soap supplies, firewood, color TV’s, VCR and DVD players. 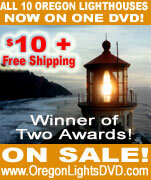 Call about tempting winter specials that go until March (not valid holidays, however). 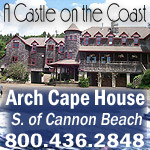 www.archcaperentals.com 866-436-1607. If you’d like your visit to the beach to include spectacular views of waves, sunsets, wildlife and more, you’ll fall in love with the Inn at Spanish Head. It is Lincoln City’s only resort hotel built right on the beach with all oceanfront rooms - nestled against a rugged cliffside overlooking a soft, sandy beach. Enjoy dining in the penthouse restaurant and bar - whether you’re in the mood for a casual meal or a candlelight dinner. 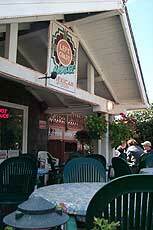 They offer an array of seafood specialties, juicy steaks and other Northwest favorites. Indulge yourself in the scrumptious Sunday Brunch buffet, renowned for its decadent bounty. The beach contains some interesting remnants of the town's past. 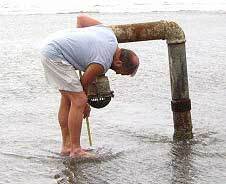 At a low tide, you can see an elbow-shaped pipe sitting at the tide line. This is what remains of Seaside's natatorium - or hot salt-water bath. These were popular in coastal resorts like Seaside, Bayocean and Newport back at the turn of the century, and this pipe pumped seawater into the facility up on the bluffs where the promenade now sits. It still pumps seawater into that facility, but at low tide, it simply houses the occasional sea life surprise that can jump out at you and then scurry away when you peek inside. At one time - as you'll notice from various historical photographs of the area - this beach was comprised of large stones and fine sand. Presently, it's covered only with sand and dunes. The face of the beach was changed by the construction of the jetties at Astoria to the north, which altered the tidal action in the area and thus the distribution of sand. Something like 30 feet of height has been added to the beach, and some 100’s of feet of distance between the town and the tide line in some places. During busier times of the year, you can rent various pedal power-driven vehicles (called surreys) for fun on the beach or on the street. These consist of small, easily maneuverable bikes for one person, to larger, four wheel, pedal-driven vehicles designed to accommodate four. Also notable here is the playground equipment, which is inviting for kids during the day - or adults on a nocturnal beach walk who want their inner child to remain a secret. Getting a free, fresh baked cookie upon check-in is just the beginning. Every room is beachfront, and it's all right up against Lincoln City's most famous stretch of beach, next to the D River. Each room, comes as a suite or mini-suite, and has a kitchen and balcony or patio. Some have gas fireplaces, while all have a DVD Players with movies available for renting (and movie rentals come with free popcorn). There's a heated indoor pool, a spa, and this fabulous beach is lit at night. Rooms sleep anywhere from two, four to six - including a deluxe fireplace suite. Gift certificates are available, and they offer special occasion packages as well. To make a reservation and see a virtual tour of the rooms, visit www.dsandsmotel.com. 171 S.W. Highway 101. 800-527-3925. Tasty, inexpensive and innovative are the key words. Glorious enchiladas or burritos come stuffed with ingredients in an intriguing and unforgettable recipe that's a combo of spices, herbs and one spunky sauce. There are tacos that are much larger than you'll expect, and other Mexican goodies as well. Most items are $4 to $8, and most single items are meals in themselves. You won't go away hungry. With a little bit more coin, you can double up or triple up on items. You can choose between a great number of ingredients, and how hot you want your Mexi-delicacy to be. 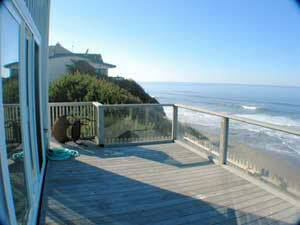 Outdoor dining on the porch is something you must experience, with some lovely views of the ocean in the distance. It's a famous little eatery on the coast - and for good reason. 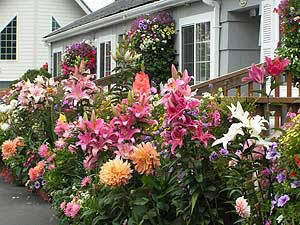 288 Laneda Ave. (503) 368-7997.